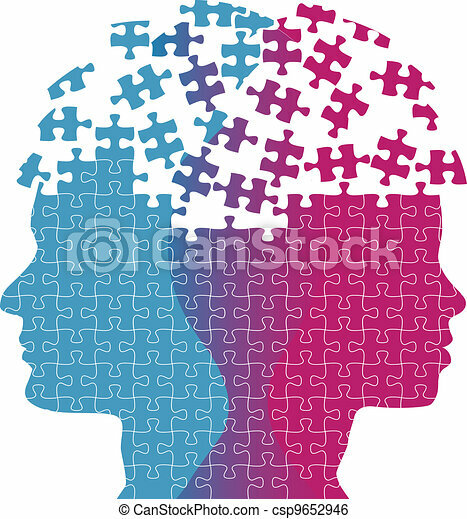 Man woman faces mind thought problem puzzle. 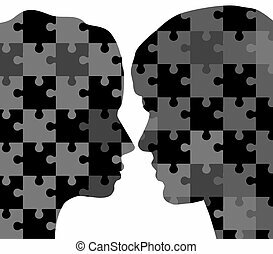 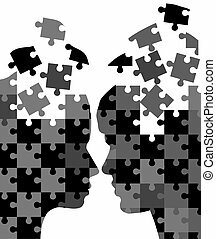 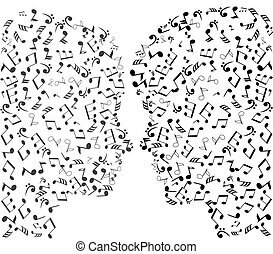 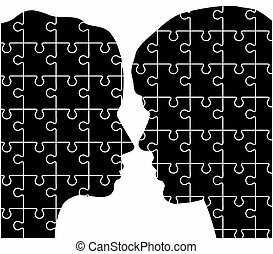 Heads of a woman and man symbol of couple love thought puzzle. 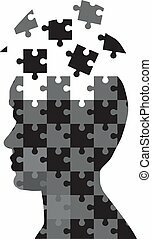 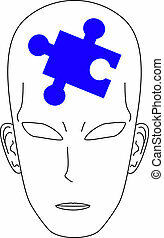 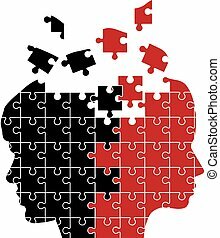 Illustration of a man puzzle on a white background. 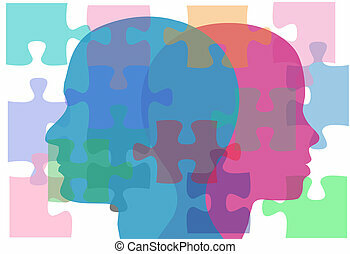 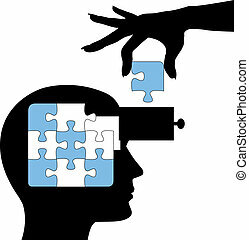 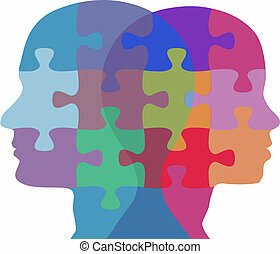 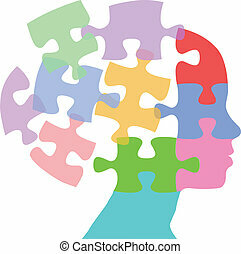 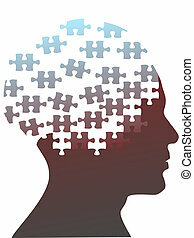 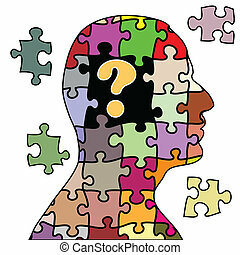 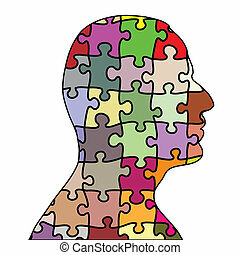 Jigsaw puzzle pieces as the mind in the profile head of the profile of a man. 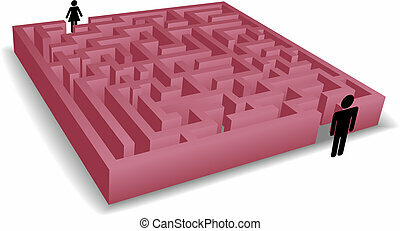 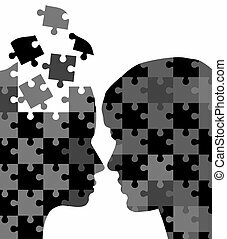 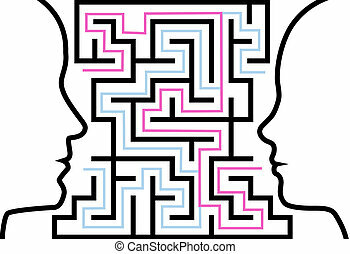 A male female couple communicate to solve a maze of love or other problems in a puzzle. 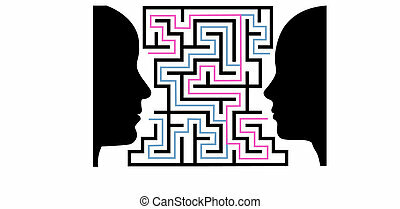 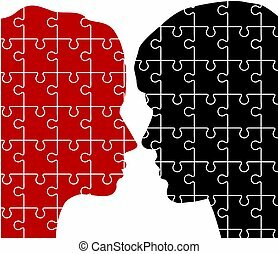 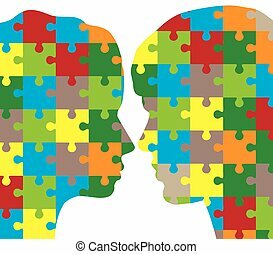 A couple of people communicate to solve a maze of love or other problems in a puzzle. 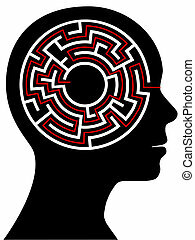 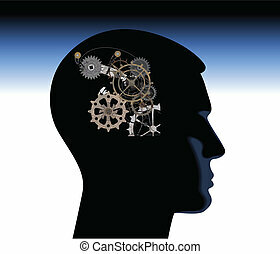 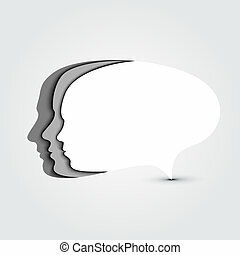 A circle radial maze puzzle as a brain in a profile person\'s head outline.